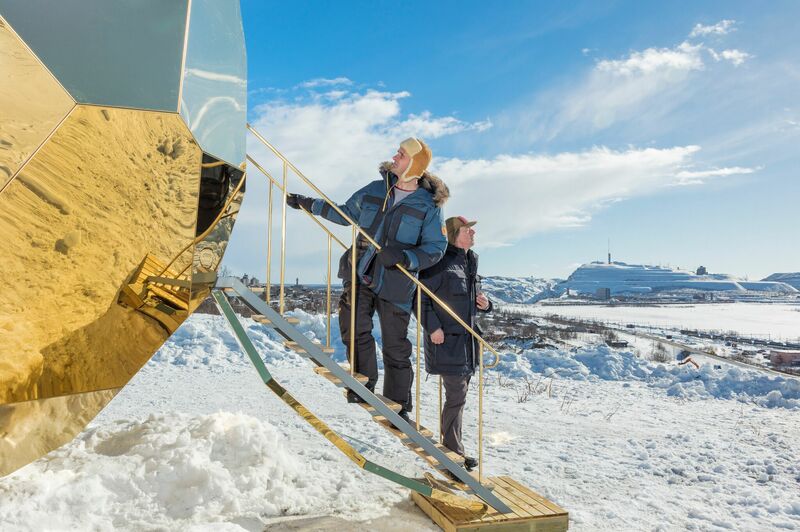 The Swedish artist duo Bigert & Bergström has created a spectacular art installation for one of Sweden’s largest property management companies Riksbyggen and for the town of Kiruna, celebrating the start of a large urban transformation project. 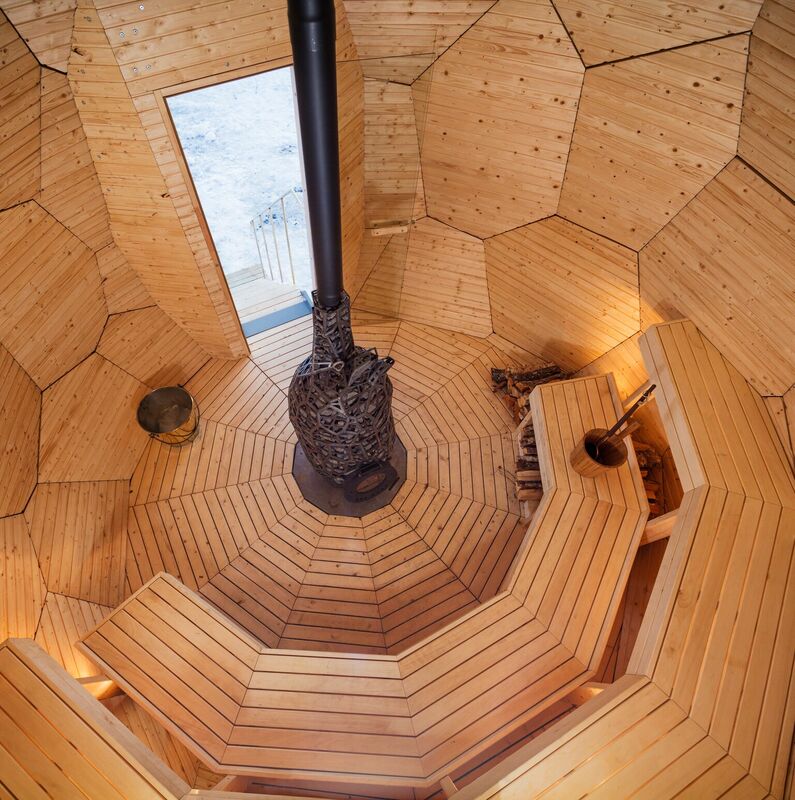 The structure is a public sauna built in the form of a SOLAR EGG. 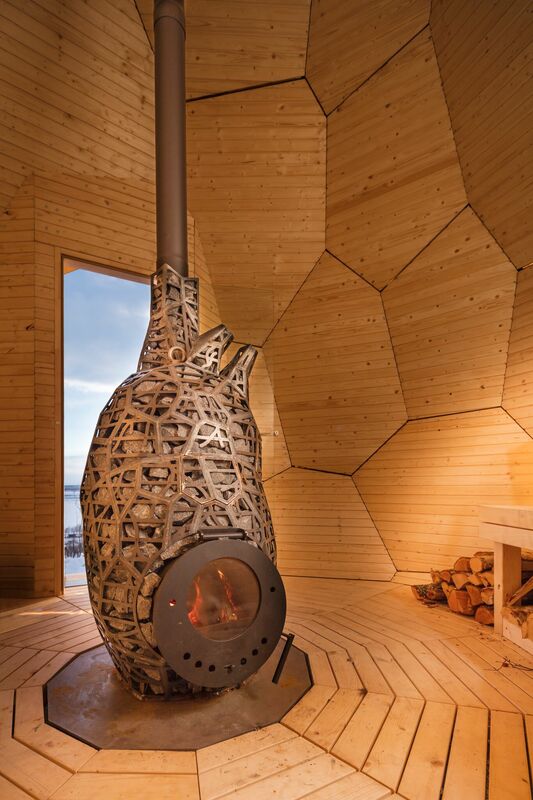 It is a gift to the city and its residents and guests, who will be now able to enjoy a unique sauna experience in the traditional spirit of care, hope and togetherness. 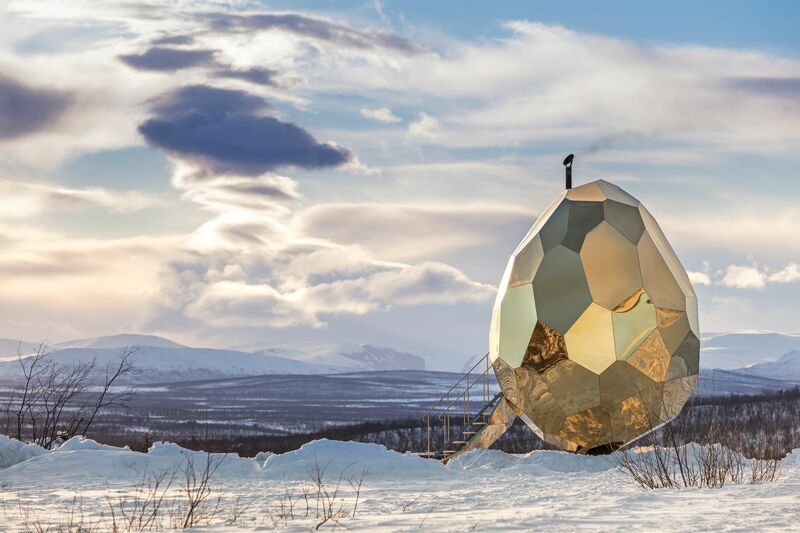 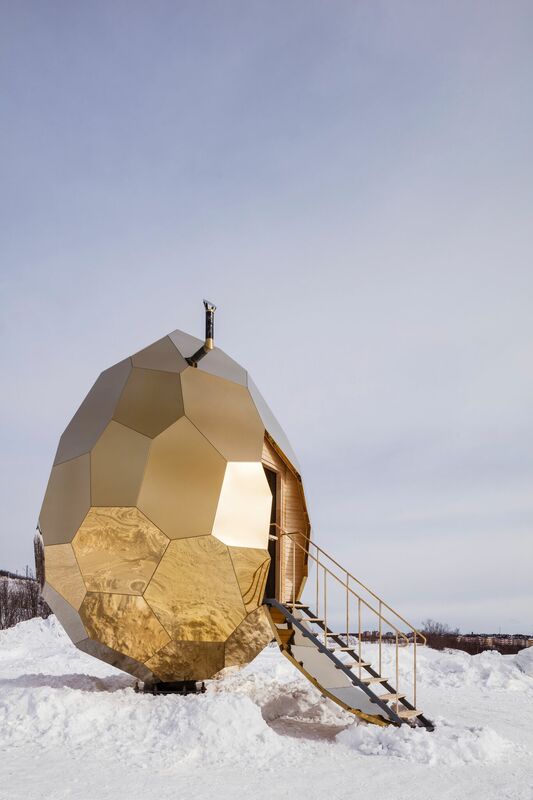 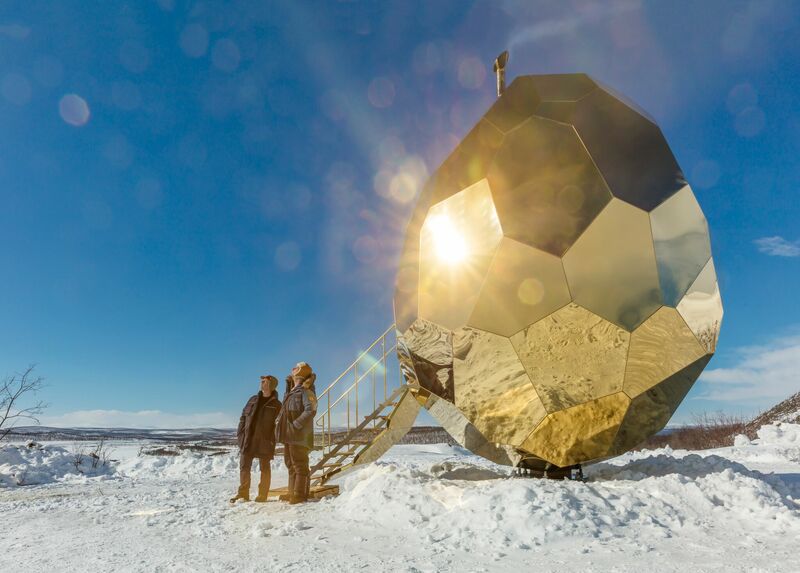 The SOLAR EGG sauna project was inspired by the contrasting and dynamic surroundings of Kiruna’s iron ore fields and the Arctic climate, where light conditions change with the seasons from 24-hour winter darkness to round-the-clock midsummer sun. 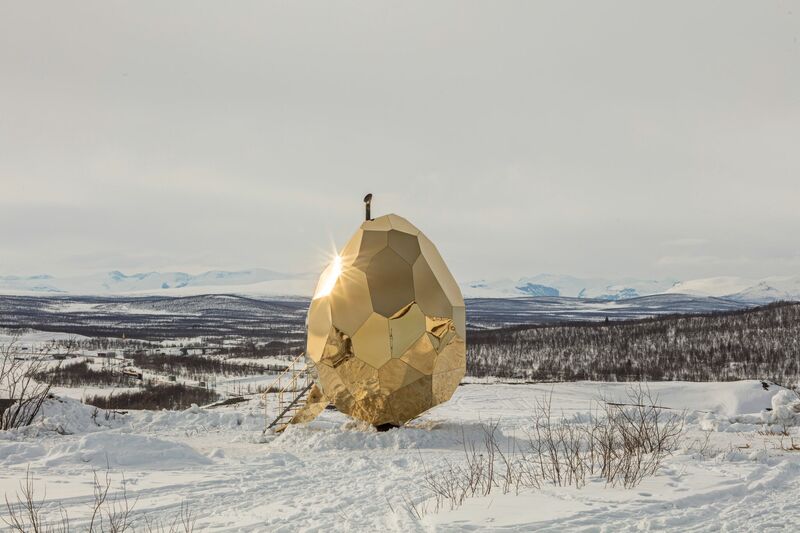 The installation measures five meters high and four meters wide and has a shell of gold-plated stainless steel that reflects the city and its surroundings. 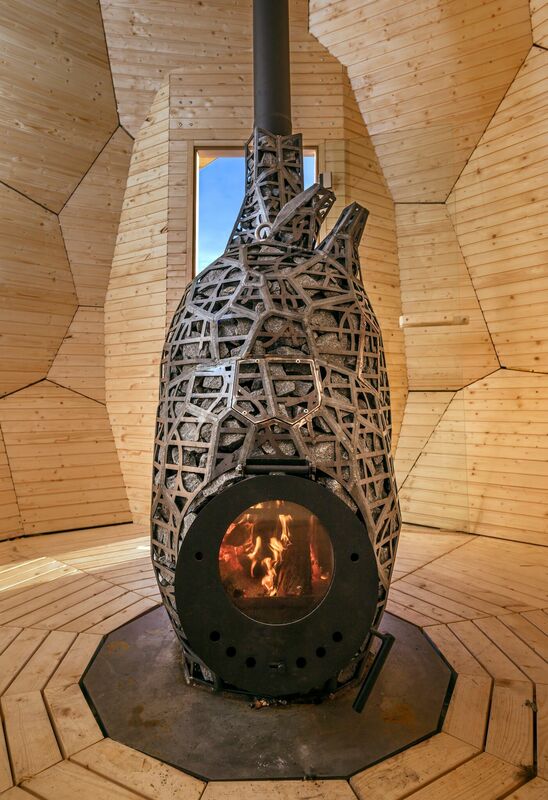 A heart-shaped wood-fired burner provides heat inside the sauna. 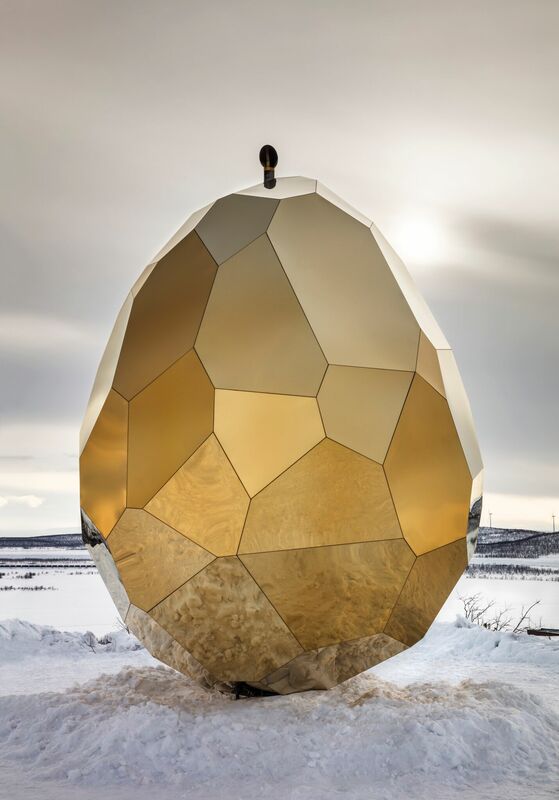 The egg can be moved to different locations within the city as it consists of 69 separate pieces. 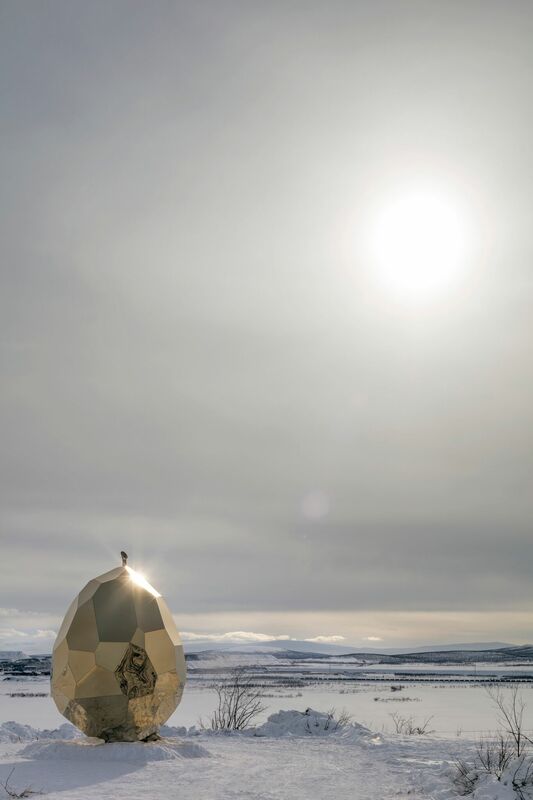 The egg shape seeks to symbolize rebirth and new opportunities, and represents the developers’ longstanding fascination with humanity’s relationship to climate, nature, energy and technology.